Last Year We At Carragh Paving And Landscapes Were Delighted With The Publicity And Recognition That Goes Hand In Hand With Winning Or Being A Runner Up In These Prestigious Awards. I Encourage All Businesses In Co Wexford, Both Large And Small To Enter A Category. The Process Is A Great Learning Experience And The Profile You Get For Your Company Is Invaluable. 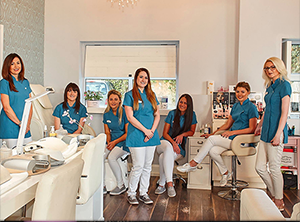 Last Year We At The Nail Boutique Were The Proud Recipients Of The Best Start Up Business Of Year Award. I Encourage All Businesses Out There Throughout County Wexford Both Large And Small To Enter A Category. The Process Is A Great Learning Experience And the Pride and Moral Boost It Generates With Staff is Invaluable. Niamh Darcy From Morriscastle Strand Holiday Park Gorey. 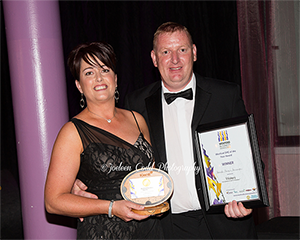 Last Year We At Morriscastle Strand Holiday Park Were The Proud Winners Of The Wexford Micro Enterprise Award. I Encourage All Businesses Throughout County Wexford To Enter A Category. The Profile We Got For Our Business Has Been Fantastic And It’s Free & Simple To Enter. 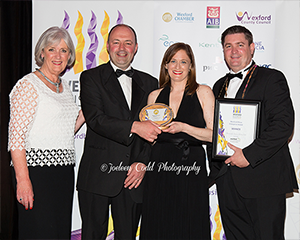 “A great evening was had by the Dwyer Family at the 2017 Wexford Business Awards Ceremony and the event was, of course, very much heightened with delight and pride on winning the ‘Start-Up Business of the Year’ Award 2017. It is a great boost for both team spirit and morale for all Summit Scaffolding employees to be able to say ‘I am employed by an award winning Wexford Company’. We appreciate the huge amount of work that Wexford Chamber does in organising and hosting such a prestigious event and it was certainly an honour and an experience to meet, dine and speak with so many other local Wexford companies and business people.